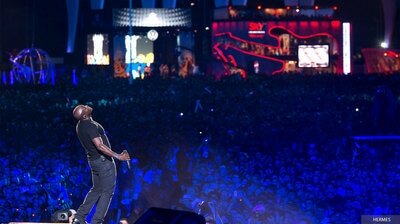 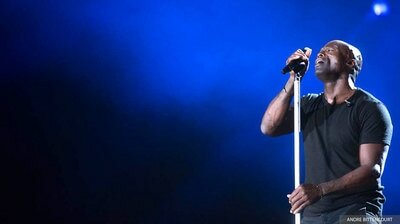 An acclaimed performance to an 80,000 strong audience at the main stage at RIR. 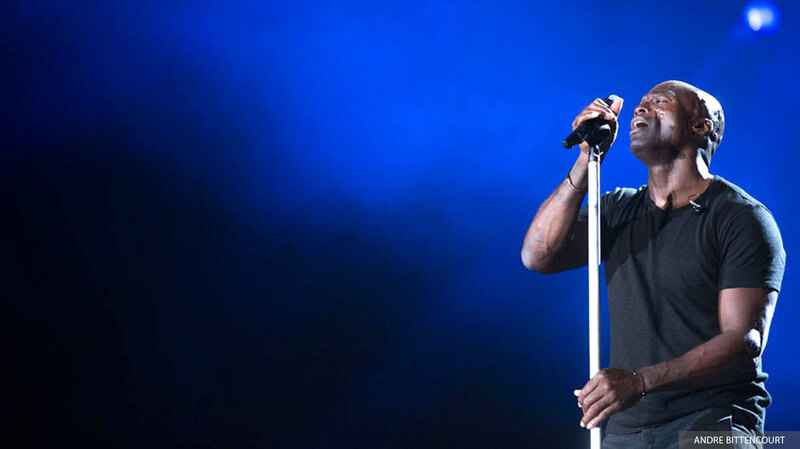 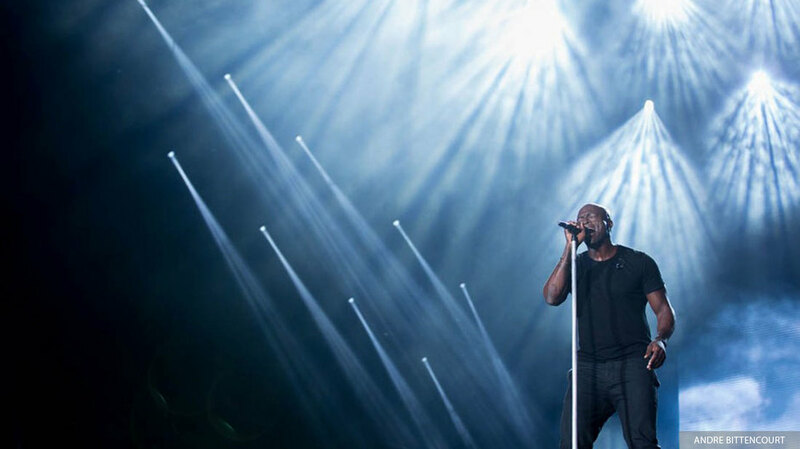 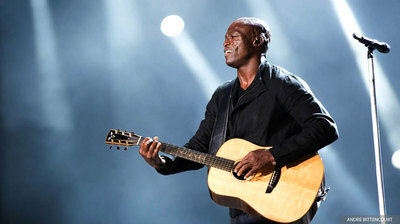 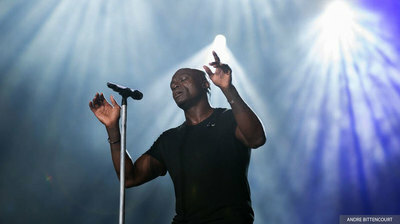 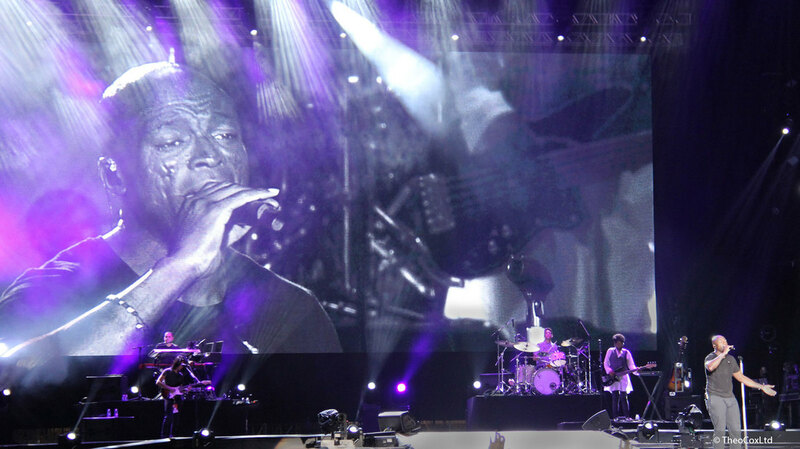 A narrow lensed FOH camera was dedicated to a head-shot of Seal. 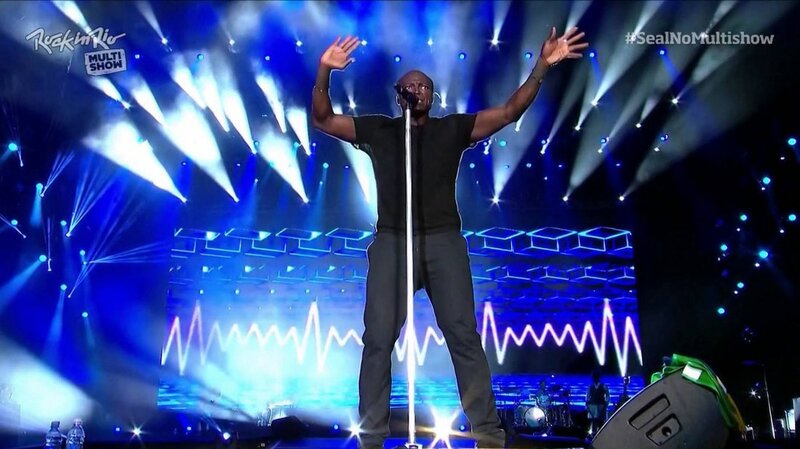 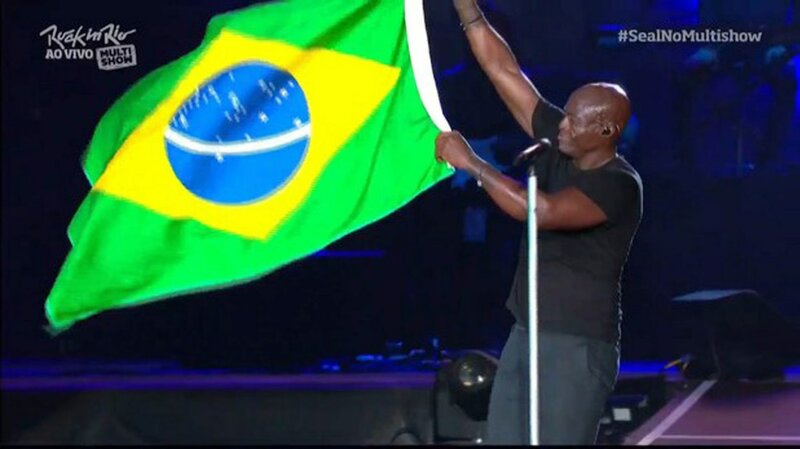 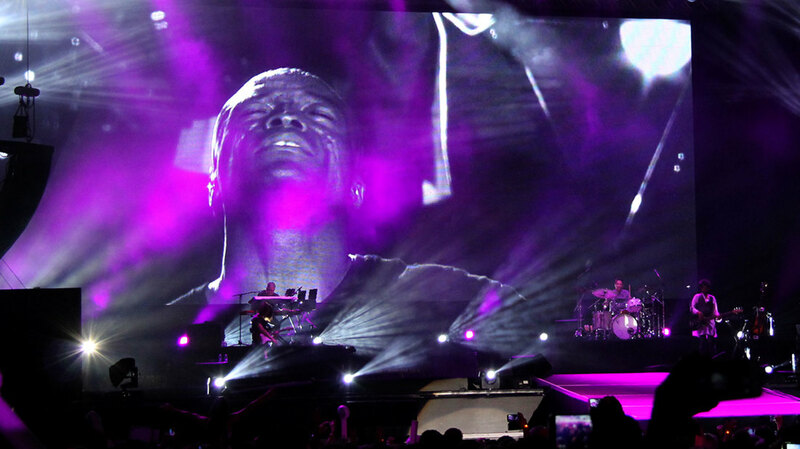 By feeding this through the media server which was also playing the custom video content to the LED screens, it was possible to creatively integrate a massive close-up of Seal into the imagery. 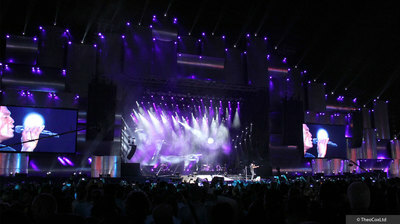 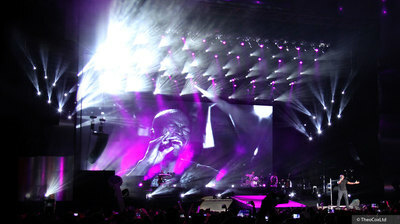 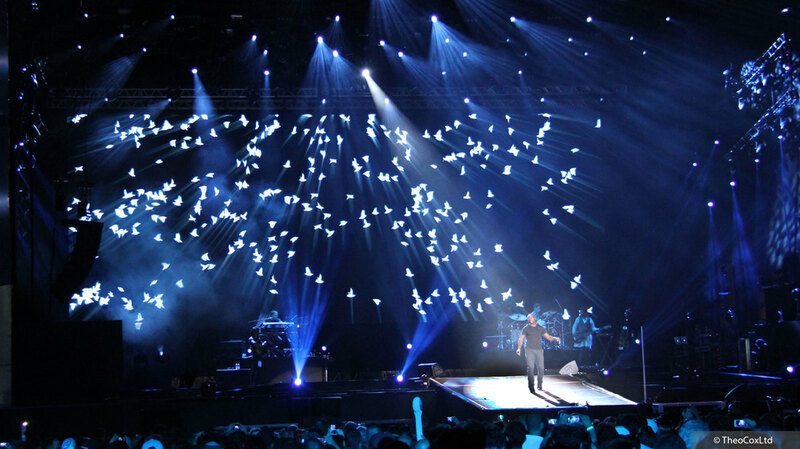 All of these video elements were controlled by Theo's console, as well as the entire lighting system.